Well, it had to happen. 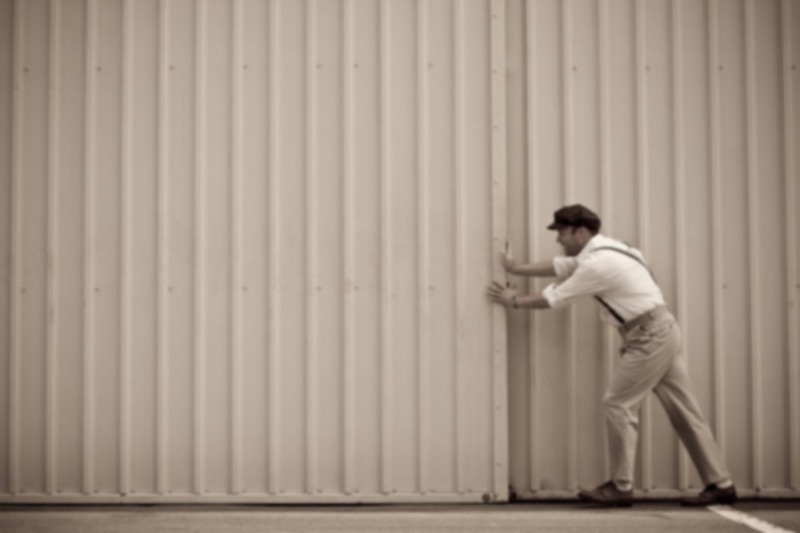 Sooner or later, everyone who flies loses a friend to an accident. I’ve been lucky — since 1998 there hasn’t been a single person I can think of who’s been killed in an aircraft — but that changed recently when an odd mechanical failure claimed the life of Marta Meyer. I was in Las Vegas when I heard the news. Or should I say, read it. I received an email from IAC entitled “Memorial Service for Marta Meyer” and involuntarily yelled “What??”. That was a strange day. It was the same day that the Jet Blue flight landed at LAX with the nose gear malfunction. It was also the day that a crazy guy intentionally ran down a dozen people with his car right outside my hotel on the Strip. For hours, the Strip was closed to traffic, the fountains at Bellagio were turned off, an the center of Las Vegas was eerily quiet. Anyway, Marta and I were not what you would call close friends. I didn’t know her extremely well, but she was the first person I ever encountered at an aerobatic competition, and the first one to make an impression on me. I will always remember the way she’d crack jokes at the early morning pilot briefings, making people laugh and helping wake everyone up. Marta was inspirational. Chief engineer for NASA’s Dryden Flight Research Center, aircraft builder, A&P-rated mechanic, Unlimited category aerobatic pilot, highly regarded aerobatic judge, and member of the U.S. National Aerobatic Team. 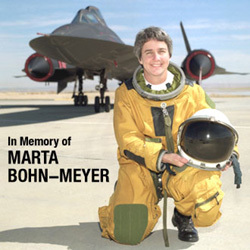 She was also one of only two women to have flown in the SR-71 Blackbird. Yet Marta was also down to earth, friendly, always smiling, and never too busy to lend a hand or talk to you. You’d find her out in the box, painting markers, setting up tables, and pitching in just like a first time guy (that would be me) paying his dues. There are few women in aviation, and fewer still in competitive aerobatics, so Marta was something special for many reasons. The community is small enough that her loss is felt all around the world. For my part, when I look at Bob and Marta Meyer, I see the kind of aviator I strive to be. Knowledgeable, experienced, safety-oriented, friendly, and low on ego. Marta was practicing for the upcoming US National Aerobatic Championships. After about 5 minutes of practice, including several vertical maneuvers, Marta pulled vertical to do a hammerhead and the canopy departed the aircraft. No further control inputs were noted and the Giles crashed just off the airport property. Speculation is that Marta was rendered unconscious at the canopy departure. The canopy was located and found locked, with the pins also in the locked position. The cause of the crash is under investigation. The NTSB preliminary accident report, which is available online, says basically the same thing. I’ve always thought of competition aerobatics as a relatively safe sport, but after my excitement at Paso Robles this summer and this unexpected accident, I’m rethinking that opinion. The airplanes are very tough, and the pilots well trained, but we’re pushing these aircraft hard and mechanical things do break. My last memory of Marta is from the Delano competition which took place last month. More than one person told me that without the Meyers’ efforts, that contest would never happen. At the awards ceremony on Sunday night, she sort of MC’d the banquet, handing out trophies for Delano and the 2004 California state championship, and having a grand time. Marta finished in first place in Unlimited at Delano, and I recall her posing for a photo with a kiss with Bob. She seemed happy, celebrating a successful contest with friends, savoring a victory, and hamming it up a bit. That’s how I’ll remember her. I’m not sure there’s anything that can be learned from the accident. But there’s much to be learned from the legacy she leaves behind. Farewell, Marta, and thanks for the memories. Thank you, Ron, for your tribute to Marta, who was my sister. We were always very proud of her and we miss her dearly. We are heartened to hear from people who were inspired and encouraged by her. I met Marta Bohn 36 years ago, when I moved to Cutchogue, on Long Island, New York. We were in the 7th grade together, and her mother was our French teacher. I sensed almost immediately that Marta was an extraordinary human being, in so many ways. She was extremely smart, extremely dedicated in all that she did, and she was also kind-hearted, and had a fantastic sense of humor. In addition to all her other interests, Marta was also an exceptional writer. I read many of the papers she had written for English class, which showed an empathy and understanding of human nature that was far beyond her years. I especially remember one very moving, touching story she had written when we were 13–she wrote about a soldier, and her characteriszation was nothing less than true genius. I was always slightly awed and envious of Marta’s intelligence, talent, and determination, but one time when I told her this, she was surprised and a little embarrassed, because she was also a very humble person. She will always stand out in my mind as one of the most remarkable people I have ever met. Although we stayed friends throughout High School, and we called and wrote to each other when I was stationed in California in the early 80s, and continued to do so on and off over the years, recently, we lost touch somewhat, which I will always regret. Her death has been a great loss, and she will be dearly missed. My heart goes out to her husband, Bob Meyers, and to all of her family and friends. Marta Bohn-Meyers was always meant to do great things, and she achieved so much in her short life while making life better for everyone around her. She flew fast, and she flew high; and the only consolation we can take from her death, is knowing that she left us exactly as she would have wanted–doing what she loved to do most.